Laura, artist name – Samanta. 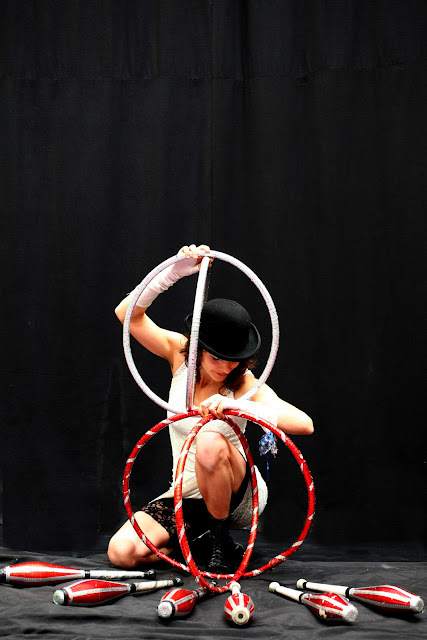 Circus artist and teacher specializing in slack rope, juggling, acrobatics and dance. She began her artistic career studying at the Carampa circus school in Madrid. She continued (furthered) further developed her studies traveling in Mexico, Cuba, Italy, Spain and France. In this blog you can find more information about her performances and workshops she offers.